Colors are synonymous to enjoyment and Holiday celebrations. During holiday seasons, businesses launch special products in special Packaging. 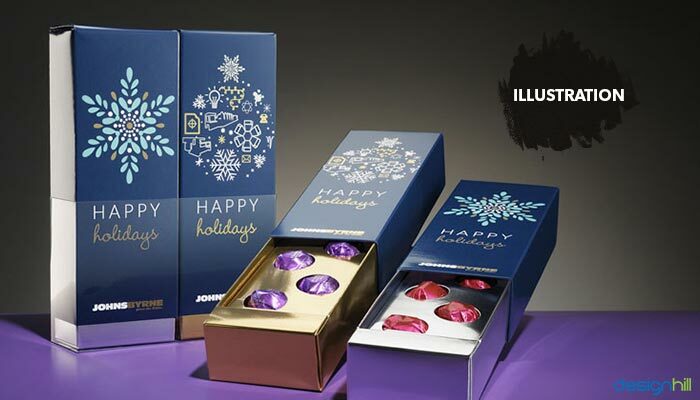 Therefore, holiday packaging designs have vibrant colors with a touch of trend. The strategic use of colors is important to make a brand statement. Colors are powerful elements in any graphic design. Graphic designers acknowledge that colors can evoke the intended emotions. So, the designers use colors to evoke the feelings that they want from the viewers. This means that if red is the chief color used in a graphic design, the viewers will get the feeling of passion, love, aggressiveness, energy and so on. So, colors can play a key role to create ultimate packing design. However, colors alone do not make an impressive packaging design. You have to consider a lot of aspects as well. Make sure that the design is capable of surprising the target consumers. People buy a product after getting a good impression about it from its packaging. So, make sure that you know all about the client’s target customers and market. Each element of colors, fonts, shapes, lines, and images or illustration should target the customer. When it comes to using colors for holiday, generally bright colors are prefered. But, professional packaging designers do not adhere to such thinking all the time. Many designers do not hesitate in using dimmer colors if they think it will target the customers very well. If a brand message requires you to use lighter colors, you should not be using brighter colors just because the packaging is for holidays. People await holidays to enjoy and revitalize themselves in order to move forward in life with new vigor. Companies and businesses also sense the mood and find it an excellent opportunity to launch brand new goods. Packaging industry especially benefits from the festive mood of the people. One of the things that most people find attractive during the holiday seasons is packaging of the goods. They find new packaging designs attractive during the holiday seasons as they are in a celebratory mood. 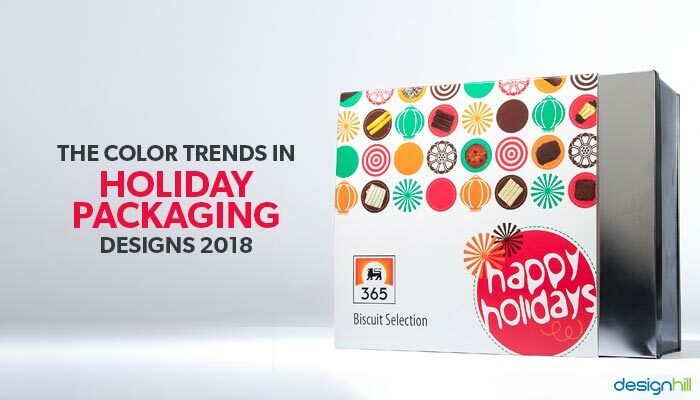 Before we come to the trends likely to dominate the current year, let us have a brief view of what colors were in trend, last year in holiday packaging designs. Mostly, the designers were using green for holiday packaging. This was because the consumers were talking about environmental protection issues. Many agencies, especially the Environment Protection Agency, were encouraging people to ensure that the packaging was recyclable. So, ‘’Going Green’’ was a great selling point for the businesses. They created holiday packages with green to match the ever increasing environmental concerns last year. Some designers may still use green, as concern about environment is still a topic of discussion across the globe. But since a lot of green has already been used, chances are that its use may not be that huge anymore. In 2018, however, green has seized to be the color for packaging. 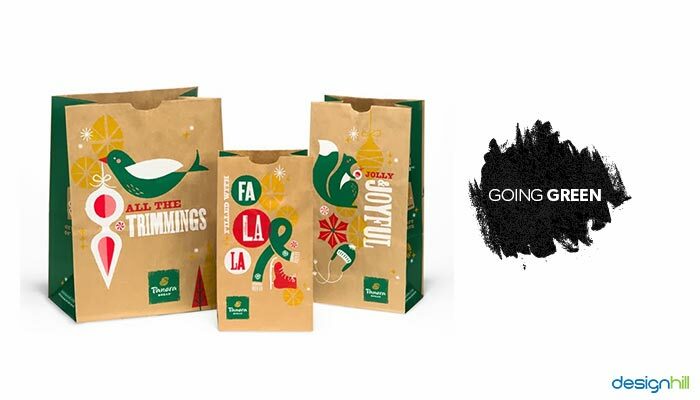 While it is too early to precisely say anything about what graphic designs trend in holiday packaging will dominate this year, some hints have started emerging. Green no longer occupies the minds of packaging designers this season. Black is already seen everywhere in the packaging design and a hint of gold is likely to accompany it. So, the pair of black and gold is the color choice for holiday packaging for the year. Use of black and gold has a certain purpose for holiday packaging. This may be because the emphasis was on environment issues last years and so people were now longing for some luxurious products in the new holiday seasons for a change. Black and gold can also be seen emerging as trends in web design. Many websites use the colors as a way to express sophistication of services and products offered by the businesses. 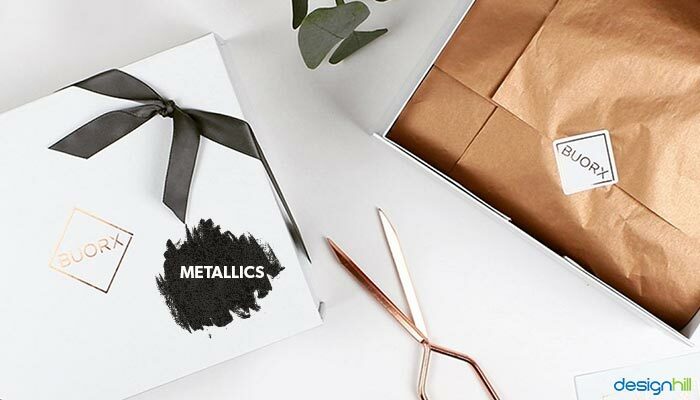 Another colors that are likely to make rounds in the next year in packaging design are metallics. These colors were used last year everywhere from cars to cosmetics. The color continues to be favorite of the designers for its power of simplicity. Metallic colors are an easier way to project luxury and quality of a product. Often, metallic colors are used in beer packaging and in the context of spirits. These colors also are frequently used in cosmetics packaging, especially for high-end luxury products. Many premium line of skincare have been using metallics in spas, restaurants, and hotels. One of the trends across Europe is to pair metallic shades of sand with white space. Some designers get inspiration from the Dead Sea terrain and material potency for using metallic colors. Packaging designs also are likely to continue with the trend of using illustration and graphics. Illustration can be noticed everywhere on packaging. It includes geometric drawings. This means that the designers are trying to return to the old ways. They want to turn packaging into a decoration piece so that people are attracted to them and buy the product. For illustration, the graphic designers are experimenting with colors. So, we can expect from bright colors to dim colors in packaging design in the next year. In illustration, not only the colors but the tone also matters a lot. 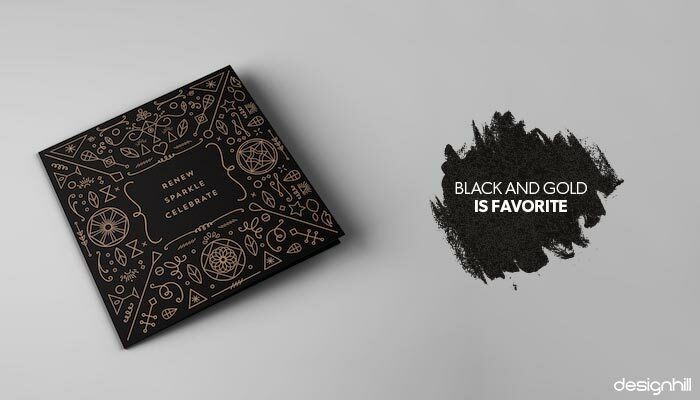 So, watch out for these graphic design color trends dominating the holiday packaging designs. And if you wish to incorporate this emerging trend in your package, website, logo or merchandise designs, simply launch a packaging design contest at Designhill, the largest crowdsourcing marketplaces for custom designs. You will get dozens of new design concepts and submissions from designers from across the world. If you do not find the designs satisfactory, Designhill offers a 100% money back guarantee! So, it is a risk-free way of getting a customized design in no time. Packaging designers are likely to use green, black and gold colors more often in 2018. Metallic colors will be used to express luxury and high-end quality of products. Bright colors may be used if the designers go for illustration as a style.